This week I'm pausing to celebrate. My oldest son is turning 14...how did the time go by so quickly? We are hosting his friends for a Friday night sleepover, then we will enjoy a special family supper later this weekend. We make a mini-fuss over each of our children's birthdays because we want them to know each year of their lives are worth celebrating. Birthdays are a wonderful time to "force" us into celebrating. If your life is like mine, the pace is so hectic that it's easy to forget to celebrate. So much is on the to-do list that celebrating often takes a back seat. Yet God is the author of celebration. I love my One Year Bible because it helps me read through the whole Bible every year. In the Old Testament book of Leviticus, God commanded the people to celebrate with various festivals. 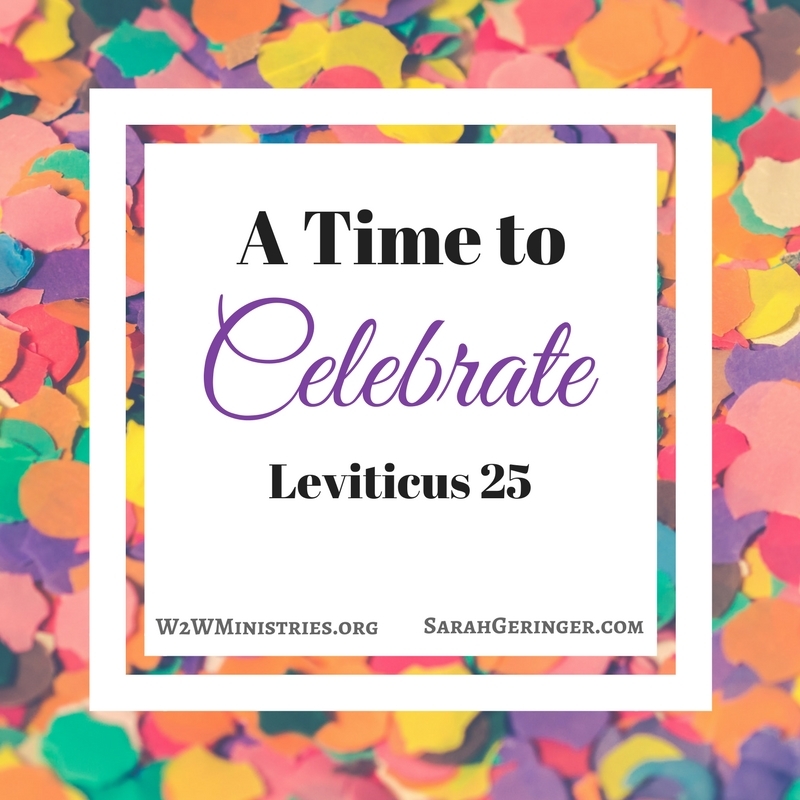 I love that God mandated celebration, because He probably knows we'd forget to do it if we aren't reminded, as with every other act of obedience, right? In the Year of Jubilee, the Israelites celebrated seven cycles of setting the Sabbath rest aside. The jubilee happened every 50 years. Families returned home. Debts were canceled. Freedom and peace were celebrated in abundance. Even though we don't celebrate a jubilee in our culture today, we can stop and celebrate because God wants us to be jubilant. He wants us to feel free to dance, jump and shout in praise. He wants to give us freedom from what burdens us, and allow us to enjoy one day in pure celebration. Think back over the past few months. Has anything happened that deserves celebration? I'm not talking about anything earth-shaking. I'm talking about little things that need to be noticed and appreciated. I have bigger things to celebrate too. But I'm not going to take space up here describing those to you. 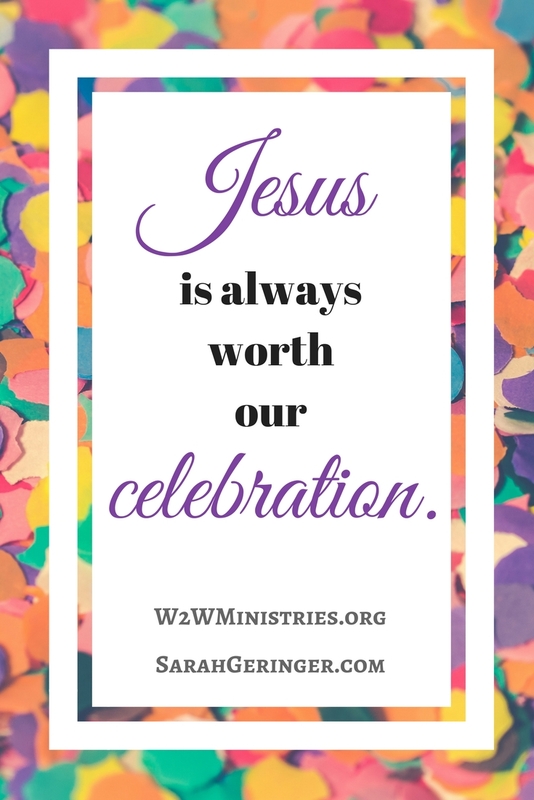 Consider what is worth celebrating in your life. Then plan to celebrate it with a praise and worship session, and maybe a planned celebration with others. If you are experiencing hardships, I understand how hard it can be to celebrate. No matter what you're experiencing, you can always celebrate who God is and what He is doing in your life. You can throw a private party to celebrate God's goodness. Praise God for being there for you always. Praise Him for being sovereign over this season of your life. Praise Him for guiding you, teaching you, and providing for you. 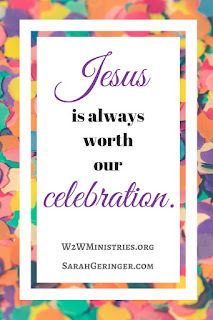 He is always worth our celebration.